There’s two ways you can take advantage of Amazon’s marketplace. You can either be a seller or a buyer. You can either make money or you can spend money. I think if you’ve landed on this article, it’s pretty clear you’re looking to be the one making money - not spending it. Let’s demystify Amazon’s business model and see how they really do help sellers reach their audience. By the way, that’s a very important distinction to realize, Amazon's customers are theirs - not yours. Amazon currently has two distinct business units: their ecommerce marketplace and their web-services segment. They’re ecommerce side is what they’re known for mostly. Starting with books first in the beginning and now expanding to almost every product under the sun, we a few exceptions of course. Here’s a list of the restricted products list from Amazon. Amazon’s focus on innovation and being customer centric have allowed plenty of buyers to take advantage of Amazon themselves. If you haven’t been living under a rock in the past, you’d know how well their reputation is for customer service. They’re slowly becoming the dominant player in logistics as well with their new Fulfillment by Amazon program - but more on that later. What’s interesting about Amazon is that through building their ecommerce site, they’ve taken a lot of profits and reinvested into the technology that runs their marketplace. With everything built out, they’ve realized how infinitely scalable their business can become but also how others can take advantage of it as well. It costs almost nothing for them to set up another division for developers and other online businesses to take advantage of what they’ve built - so they have. If you need to have an idea of what type of cloud technology they’re investing into, just see their products list on https://aws.amazon.com/. Everything from storage, messaging tools, security and beyond. A large percentage of business use Amazons web services and this segment is actually more profitable than their ecommerce side. But what would Amazon be without their ecommerce division? Another part of Amazon’s business is known as Mechanical Turk. The background is that this is a place where you can access a global marketplace of people to run small tasks and experiments for you. Need 200 people to draw a picture of your cat? Well this is the place to get that sort of stuff. And yes, that actually happened. One of the most utilized functions for buyers is the filtering section for price comparisons, which at the moment is on the left hand side of Amazon’s layout. Buyers can filter products based on pricing, but the obvious setting is to let Amazon organize things for you based on price, relevancy, ratings or arrival date. This function comes in handy for sellers too. Amazon also has a trade-in program that allows individuals to get paid for their used items that they no longer desire. Individuals can turn in a wide variety of items such as; cellphones, laptops, video games, and books. When customers trade-in their product they receive an Amazon gift card in return based on the appraised value of the item being submitted to Amazon. Amazon also allows sellers to create coupons for buyers. This is an essential part of a product launch as well. Many new sellers are creating new coupons for their brand new products. Buyers take advantage of this either by getting onto a seller’s email list or they can go onto Amazon’s coupon section. Amazon’ Prime Pantry is another favourite for buyers. As the name suggests, Prime Pantry is only for prime members and it allows them to buy groceries and household items easier. Anyone who has prime is generally going to love this since everything is delivered to their doorfront. Individuals that are prime members can receive free shipping on all products labelled with a ‘prime’ tag - generally this means Amazon is doing the fulfillment themselves. All general customers can enjoy the luxury of having their products shipped to them in a relatively short amount of time though and Amazon is always offering prime membership trials. In addition, if you’re a prime member and located in New York, then they can receive their package in only 1-2 hours! Which is astounding. This isn’t an advertisement to buy more on Amazon, but as a seller you need to understand why people keep using Amazon. Access to a marketplace of buyers. Amazon sells billions of dollars in products each year. Access to their prime members is also something you shouldn’t ignore. Prime buyer’s are known to have more disposable income and use the platform more than non prime customers. The feature of Amazon that provides product recommendations to buyers provides a huge benefit for sellers as well. This is because it allows for upselling to occur. For example, if one is buying a basketball, then Amazon will have a section on the product page of things other people bought that’s similar. Amazon sellers also have repricers that allow them to be more competitive in an automated fashion. Although this isn’t necessarily applicable to private label sellers on Amazon. Which is generally the direction we suggest you go into. Create your own products. Customer reviews are crucial to the performance of any product on Amazon. There are two types of reviews: product and seller. Meaning you could be reviewed on the product you sell and also your store. The higher reviews you retain, the more social proof you have. 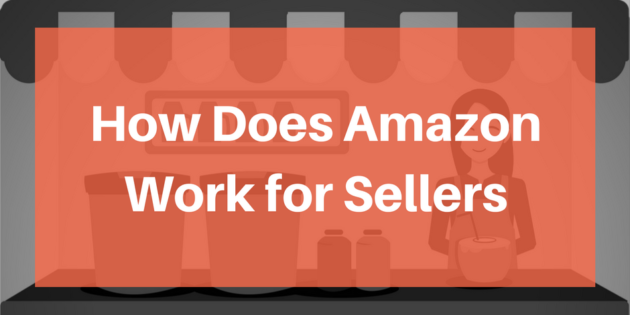 Fulfillment is one of the more revolutionary services that Amazon has begun to offer sellers. Sellers can now conduct product research only and let Amazon handle the logistics. The warehouse receives inventory from the sellers. The product is shipped out. Fulfillment by Amazon is their logistics program that allows you to send your product to their warehouse and have Amazon handle the shipping and customer service for you. It’s essentially what we laid out above, but just plugging in Amazon as the warehouse. If you are a wholesaler, there is a chance of inventory commingling. Which means that your product may be mixed and matched with other products that are under the same ASIN number. An ASIN is just an identifier, similar to a SKU. 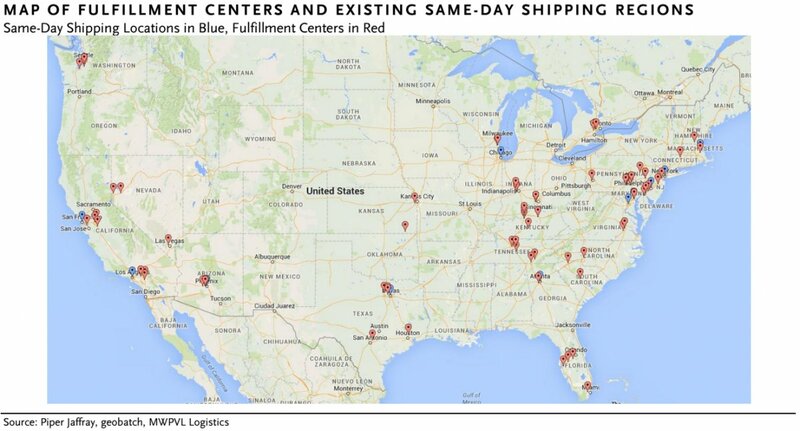 FBA sellers will have their product shipped to warehouses all across the country (if you’re selling in the US) and forecasting sales is very difficult because you do not know where you product is held until a product is sold. This makes taxes very finicky. Amazon is an ally but also a competitor. They produce their own private label goods and have access to your sales data. It’s not confirmed whether Amazon actually uses this data as a source for creating their own product opportunities, but it’s something to be aware of. You’re building your business on someone else’s platform. Although we whole heartedly say that you should start your physical products business on Amazon, you should still be aware that you don’t own Amazon. Nor your customers. Amazon is a great place to start, but you can move into other marketplaces in the future and start your own ecommerce shop as well. On your own branded domain. You can take advantage of multi-channel fulfillment. Meaning you can use Amazon FBA to send your products to etsy buyers, your shopify store buyers, and more. Just because you’re selling on Amazon doesn’t mean you can’t utilize their logistics mastery to all your channels. Again, access to prime customers is a big big deal. It’s not known how many prime members there are in total, but Amazon FBA sellers are the only ones that can be part of the prime program for buyers. It’s estimated that 65-80 million prime members exists. Customer service is an important part of every ecommerce business. Especially at the beginning. The added layer that Amazon adds allows new businesses to get the same quality that they’ve trained their own employees with. This could also be a con as well, considering that any buyer that comes through the platform isn’t considered yours - it’s no wonder why Amazon wants to protect its buyers. Distributed placement services is how Amazon helps you again. They allow you to send your inventory to one warehouse of theirs and they distribute it to their different warehouses for a nominal fee. Instead of you sending it to different locations. Amazon is ideal for launching new products businesses. It’s the best plan of attack for private labellers and it’s the place where buyers already exist. Amazon’s search engine is for buyers - remember that. So running sponsored ads on Amazon is a great place to start and most likely the most efficient place. Another similar aspect of Amazon FBA is the fact that it helps you win the buy box more often, although if you’re a private labeller - you always win the buy box. Here’s why. As you can see, setting up your Amazon seller's account is fairly simple. One of the first decisions you’ll have to make is what type of seller you’ll be on the platform. This doesn’t mean whether you’ll be an FBA seller (because that’s a given at this point), but it really means whether you’ll be a professional or an individual seller. We suggest becoming a professional seller.